Everyone is welcome at Chestnut Square! Your tour guide will take you back in time, excite you, and inspire you. Tours are fun for all ages. Public Tours are Thursdays and Saturdays at 11:00 a.m. Thursday tour fees are: $10 adults • $7 military, students and seniors. Saturday tours are free. All Tours begin at the visitors center. 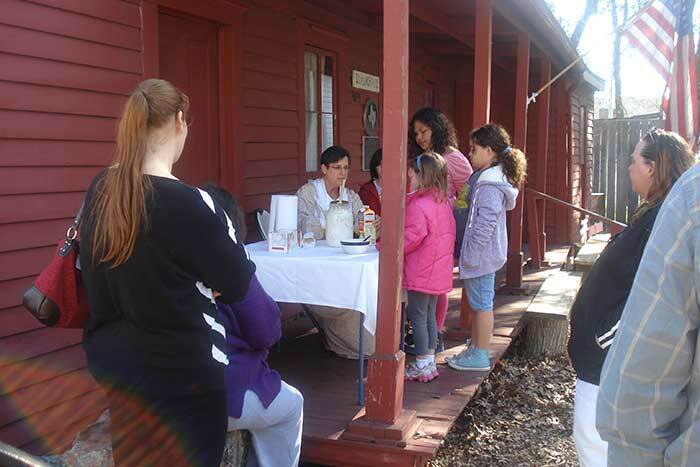 Stroll our lovely grounds and tour the interior of 6 of our historic sites with a guided docent. Tours are suitable for school aged children and adults and can be modified to pique the interest of those in your group. One of our most popular rooms is in The Faires House – the kitchen with the open fireplace. Tours are approximately 1 hour long. Private tours can be reserved with 24 hour notice for a minimum of 4 guests, pending availability. Scheduling is subject to docent availability, and as such, requests are not guaranteed, but we will make every effort to accommodate your request! Cub Scout tours are offered at Chestnut Square by request. Please contact us for availability and pricing at 972-562-8790 or by Email us. 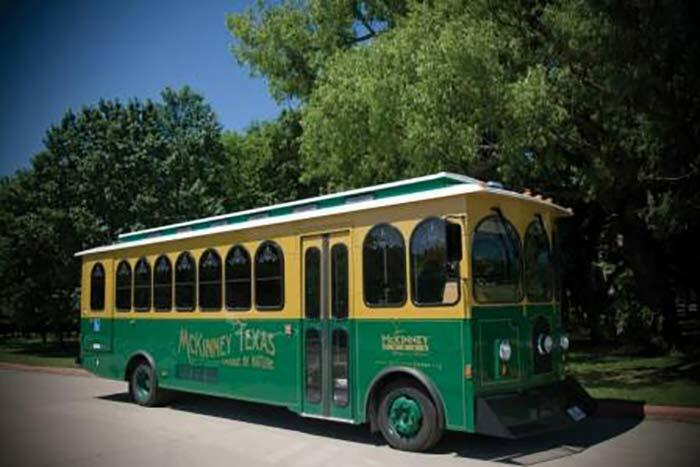 Experience the historic district in downtown McKinney on our charming trolley with a trained docent. While viewing the architecture of the many historic homes and buildings, you’ll hear about some of the significant people who made their mark in McKinney. The trolley is a wonderful tour to take with out of town guests. During Farmers Market season, tour tickets are available at the Information Booth located at the intersection of Anthony & Chestnut Streets.